Is there a better alternative to 3D Desktop Aquarium Screen Saver? 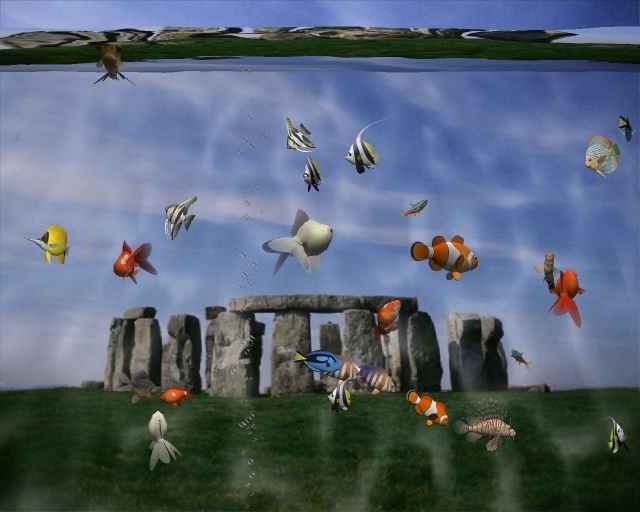 Is 3D Desktop Aquarium Screen Saver really the best app in Screen Savers category? 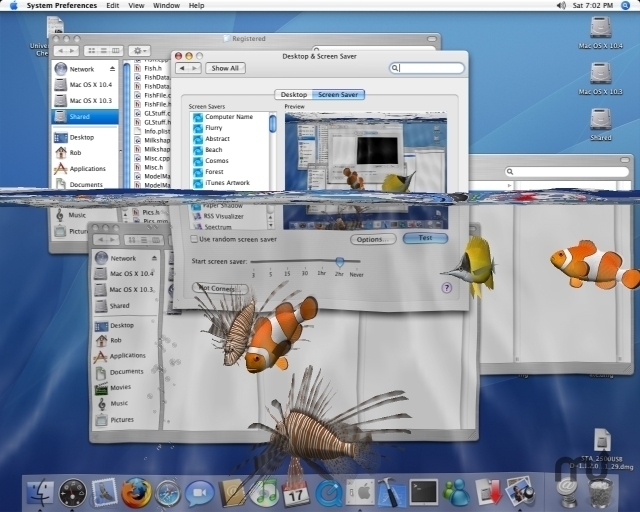 Will 3D Desktop Aquarium Screen Saver work good on macOS 10.13.4? 3D Desktop Aquarium Screen Saver... Watch as your monitor fills with water and real 3D fish begin to swim around the screen you were just working on! Real time 3D fish that don't just swim back and forth, but towards you and away from you, up and down. Like real fish! Uses realistic 3D fish models, not just flat 2D images like other screen savers do! Motion Sensor Tilting! If you have a laptop with a sudden motion sensor you can tilt it side to side and the water level will stay parallel to the ground! Dymanic underwater lighting. So if the surface of the water ripples, so does the refracted light! Download additional fish with ease! The registered version lets you download fish right into the screen saver from the Settings screen! You can select the background you want! From your wallpaper or a random image (jpg, png or gif files), as well as the option to capture the current screen. Select between warm and cold, salt water fish, and fresh water fish, or mix them all together! Remember virtual fish can all survive in the same virtual water! The fish's eyes move, so they now look around as they swim across your screen. Background Hum/Bubbling sound for that real aquarium atmosphere. Many options so you can customize it to your liking. With the full version, you can have as many as 40 fish swimming around at once, as long as your CPU can handle it! There are now 20+ different fish species available for the full version!